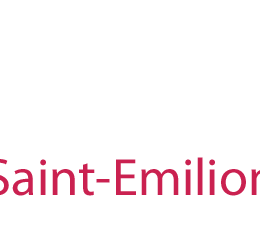 We had three sessions tasting in St Emilion, as I could not believe we had seen the best samples, and I wanted to be sure, so we went back. Generally this commune is disappointing although there are one or two triumphs. A very deep, big wine, with intense fruit, and firm on the palate, but not over jammy like some. This has good length, is clearly a hot vintage year but good nonetheless. One of the stars of the vintage. Great depth and concentration, sweet but not jammy – this has very complex, intense flavours; a great Ausone. Another big wine, open complex briar and black fruit, sweet in the mouth – even jammy, enough fruit to balance firm tannin, a crowd pleaser. Attractive, intense flavours of sweet, ripe fruit, good mid-palate, lots of character and good balance, good wine. Elegant, lovely nose, with bright, ripe, red fruit character, very nicely balanced, but not big, or hugely intense. This is long and elegant and very lovely; not a great Cheval, but an excellent result for this vintage. This is a wine for those who love and understand Cheval Blanc. Deep, attractive fruit here, good intensity, tight-knit, and firm but, this is long and will be very good, one of my value favourites. Open, complex, attractive nose, with good fruit and lovely balance; like Cheval Blanc, not a big wine, but a long, elegant finish – good wine. Good, deep fruit, lovely character, with a hint of dry tannin, but enough fruit for this to be okay. An impressive result in an unattractive bunch. Good, open, ripe fruit, reasonable class, firm, dryish tannins, but balanced by good sweet fruit. I liked this amongst a dull lot; – it has some lovely fruit, and excellent St Emilion character and complexity with good intensity. Attractive berry fruit, ripe tannins, medium intensity, with good balance, a good result. Not tasted, but most commentators agree, this is powerful and very good. 2003 has remained a vintage of high interest to me, not only because of the fond memory of my discovery of these babies, but also because of its unexpected, sometimes even “naughty” cararterictics. A vintage to watch and taste again and again!